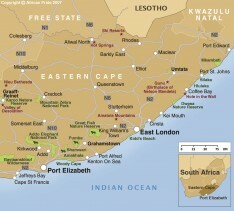 To the west of Port Elizabeth lies the resort of St Francis Bay. The coastline around Cape St Francis, about half way between Knysna on the Garden Route and Port Elizabeth, is renowned for its beautiful beaches and superb surfing. 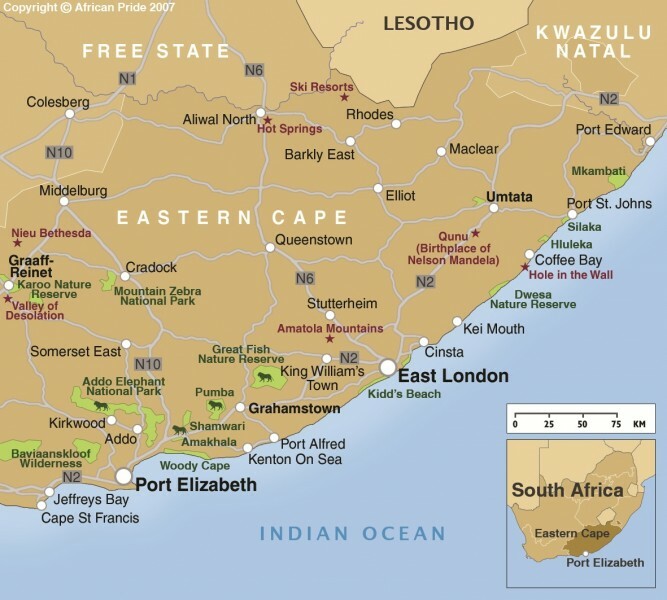 Port Elizabeth itself is South Africa's fifth largest city, originally known as Algoa Bay, it was renamed in 1820 in memory of the then Governor General's wife. The city’s rich cultural heritage guarantees history lovers a unique insight into the Eastern Cape and the Bay’s diverse and remarkable past. The nomadic San were the earliest group of indigenous people known to live in the area. The Khoi displaced the San into the mountains and semi-desert area, early in the second millennium AD.